Hi guys, new updates for this scenario. Added new leaders for the other factions. Below is the link. As usual, leaders put in leaders folder. Image put in leadersIMG folder. Will be making new updates on other scenarios too😃😃. I am also working on a ROTK scenario. Although mine has many more warlords in the south. It also started with the Yellow Turban Rebellion. I use android though. That is the issue. I can provide it to you if you need it. Ah steam, i rarely login due to connectivity. Most of the time im using mobile data. Im going to update this scenario on Saturday and Sunday, since im working from monday to friday. Well done, I love the mod and I am Chinese! Can anyone suggest what should I put on the wasteland, rebels? 1. Ma Teng(馬騰) is not the only power in North-West China. Han Sui(韓遂) is also a warlord in North-West China. He appears as a general of Ma Teng in San13 which violate the historical truth. Han Sui had its own power. These are the mistakes of San 13, you can choose to follow or correct them. For my scenario, Wang Lang(王朗) and Yan Baihu(嚴白虎) are added. You should know them. Well, basically when i started doing this scenario, i followed the san13 map. But thanks for the info, im planing to add xiongnu, qiang and di for the updates. 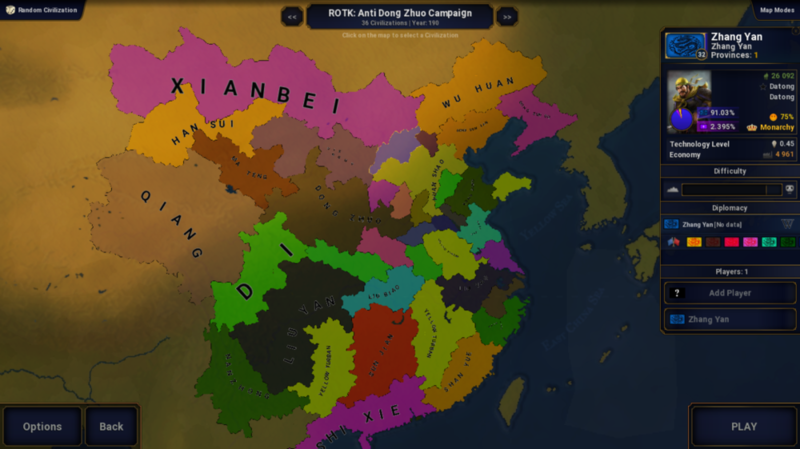 New update for ROTK: Anti Dong Zhuo Campaign Scenario. 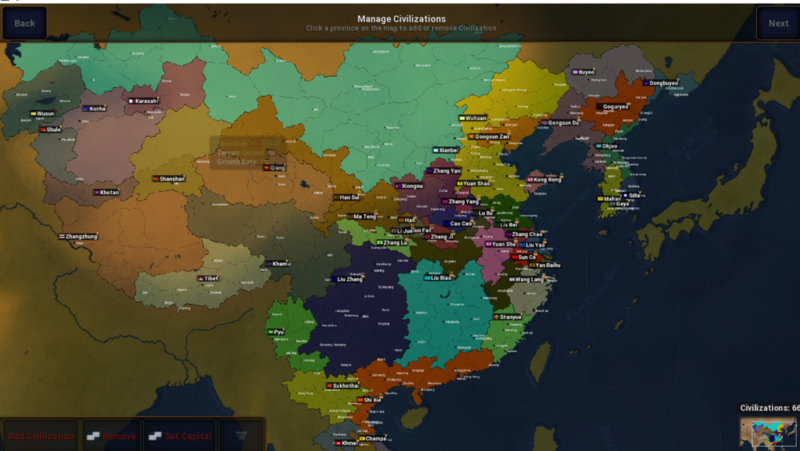 As usual, Image in LeadersIMG, leader in Leaders, civ in civilizations_editor. Link below. Any inaccuracy do tell me😃😃. Hi guys, started trying to make event, so this event is focused on Dong Zhuo's story. If I were to follow historical version will be quite hard. So I made this events as an alternative version to make things interesting. He will be emperor but you will decide whether he will survive or die. 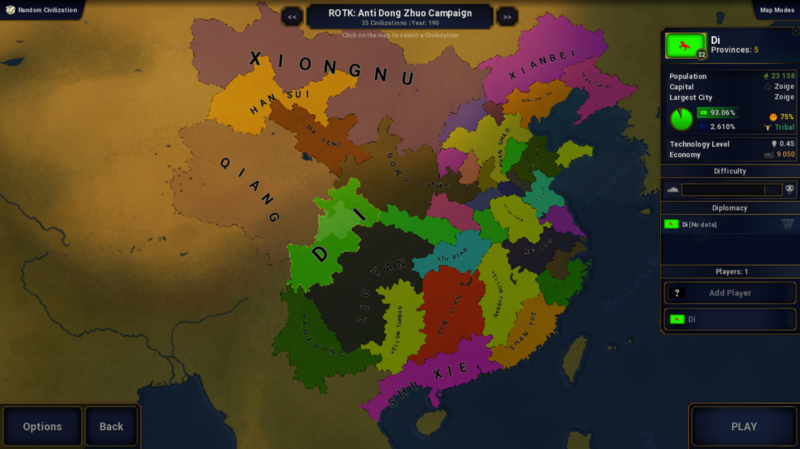 Will you be the tyrant Dong Zhuo like in history, or be the new Dong Zhuo? Link below. As for the event picture, just copy and replace it with the event folder in the UI folder. 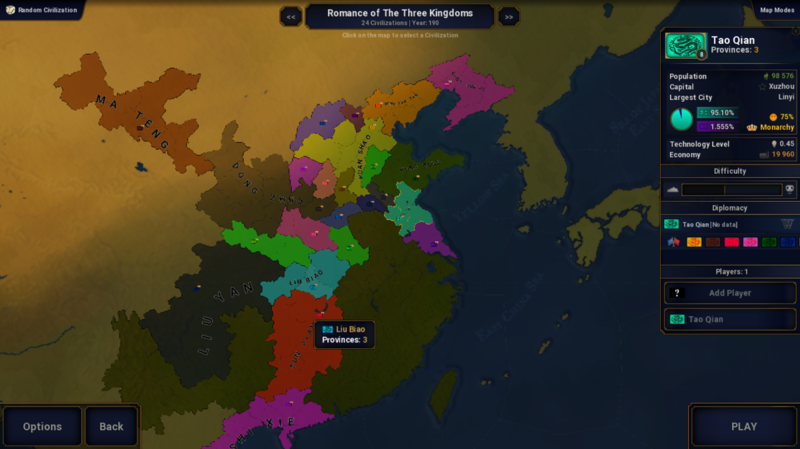 New updates for ROTK scenario. So I continued creating some extra scenarios for Dong Zhuo. Haven't really started yet on other warlords scenario except the try and error for both Yuan Shao and Cao Cao. And I took a week of from playing Age of Civilizations 2 because its Chinese New Year and I have to you know spend more time with my family. Below is the link for the scenario. More updates and events coming up soon, I will be personally testing the events too. And of course since I'm working, so it will take some time for me to work on the scenario and update it. Hope you guys enjoy it. Very cool. Keep up the good work.